Founded in 1982, MEAN WELL is one of few manufacturers dedicated to standard power supply in the world. It is ranked the 3rd in global power supply (DC output) makers according to a report by Micro Technology Consultant released in March 2018. Differing from the first two manufacturers’ ODM/OEM oriented business model, almost 99% sales turnovers by MEAN WELL comes from standard power supply products sold under the own brand name. 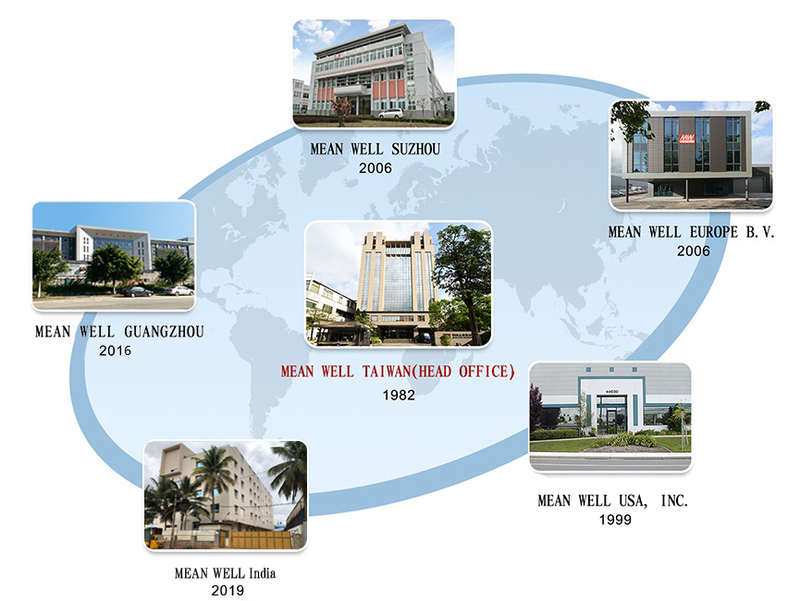 MEAN WELL has been working with customers, suppliers, contractors, and employees with long lasting mutual trust relations based on the spirit of “good intention” and orientation of “reliable partner”. Thanks to robust partnership with 200 strong authorized distributors around the world, MEAN WELL has been growing and getting stronger for three decades. With 3200 employees located at its global headquarters in New Taipei Industrial Park, Taiwan, branches and sales offices at Guangzhou, Shenzhen, Suzhou in China, California USA, and Netherlands in the EU, four advanced production bases in New Taipei City (Taiwan) and Tianhe District and Huadu District in Guangzhou, Suzhou City in China, it generates a combined revenue of USD 927 million (TWD 27.8 billion) in 2017.